Most folks know quite well that just about every word has more than one meaning. A dictionary is not necessary to figure this out. A moment of reflection on just about any word demonstrates this quickly enough. The shifts in meaning in many of the words we use are often accompanied by shifts in form, but rarely does this cause any confusion. Most native English speakers seem to pick up on the differences with little trouble and register the new meaning and new form without pausing to consider how illogical this is. The word “book,” for example, usually calls to mind the noun with the cover, pages and all that printing in between, but it could easily be used as a verb when you schedule a flight to Hawai’i or Singapore or Roswell, New Mexico. I am sure just about anyone could come up with a few dozen words with multiple meanings and multiple forms in a little less than a minute or two. Jim, however, was late for the party. Jim was late for the party, however. Jim was late for the party. Terry wanted to be early for the party, but Jim was late. Terry showed up early for the party even though Jim was late. In these sentences, two different types of conjunctions are joining the clause “Jim was late” to the clause right before it. The first conjunction “but” is a coordinating conjunction that joins two independent clauses. Notice that each half of the sentence could stand alone, but the coordinating conjunction glues them together. The second conjunction “even though” is a subordinating conjunction that makes the second clause into a dependent clause and then joins it to the independent clause in front of it. Terry wanted to be early to the party, however, Jim was late. Terry showed up early to the party, however, Jim was late. Both of these are wrong because they use an adverb as if it were a coordinating conjunction. One way to tell that “however” is an adverb is to try to move it around the clause it is in. Most, but not all, adverbs can move around in a sentence without doing any real harm. In the clause “Jim was late,” you could move the “however” to different positions without doing any harm to the clause itself. That flexibility is a clear sign that “however” is an adverb and not a conjunction. Terry wanted to be early to the party. Jim, however, was late. Terry showed up early to the party, but Jim was late. Even if the conjunctive adverb is joining the sentence to the one before it, the union is only at the level of the meaning in the sentence and not at the level of grammar. And, as we all know, grammar is more important than meaning, far more important. That would seem simple enough and not worth the labor of writing a new blog entry. But there is more, much more, because “however” can, in fact, be a conjunction. Terry dances however she likes. Terry needs to let John dress for the party however he wants. Terry dances she however wants. Terry needs to let John dress himself for the party he wants however. Terry dances a lot because she loves music. Terry needs to let John dress himself for the party even if he wear plaid again. Terry dances a lot she because loves music. Terry needs to let John dress himself for the party he wears plaid again even if. So this should all be simple enough. The word “however” should be included among those icons of subordinating conjunctions. We should be able to punch “subordinating conjunction” into our search engines and come up with a list that includes “however” alongside “since,” “when,” “before,” and many others. Not so fast. There is a problem. This is grammar, so there is always a problem. Because Terry loves music, she dances a lot. Even if he wears plaid again, Terry needs to let John dress himself for the party. However Terry wants, she dances. However John wants, Terry needs to let John dress himself. These simply do not work. The problem is that “however” is doing something more than setting up a dependent clause. It is also turning the entire dependent clause into an adverb to describe how Terry dances and how John dresses himself. “However” ends up being quite the peculiar word. When “however” is used correctly, it is most often used as an adverb that makes a weak-hearted attempt to be a conjunction and join two sentences, but it always fails to do so at a deeper level. When it actually is used as a subordinating conjunction and tries to leave its adverbial ways behind, it ends up turning an entire clause into an adverb. Students usually take grammar not because they want to write without errors but because they want to write in a matter that sounds intelligent. This might seem odd to some since wanting to sound intelligent seems to be more of a style issue than a grammar issue. Style and grammar, however, are not easily separated. One of the ways students mistakenly try to make their writing sound more intelligent is by using larger words and trying out a semi-colon here or there. I am not a fan of semi-colons mostly because they are usually erroneously or, even worse, needlessly deployed by writers trying to give their writing an appearance of sophistication. They are often used by students who have seen them used in more educated writings, but do not know what an independent clause is in the first place. Students know they are fluffing up their writing with these phrases, but they often think this is how sophisticated writers sound, For them, good writing sounds good. The idea that good writing is about precision in thinking is something of a new idea and often quite liberating especially when students realize that it can be done through using phrases and clauses more effectively. In most cases, teaching students about words gives them the idea that good writing is about choosing the right words. That is where, unfortunately, a lot of goofy notions about writing begin. The first problem is that we really do not think in words. We think in phrases and clauses. So writing with the idea that good writing means using words well causes a basic disconnect between how you are trying to writing and how you are thinking, and not much good can come of that. Prepositional phrases are probably one of the easiest phrase types to use but they also tend to be one of the most useful because they function as adjectives and adverbs. When I show students that they do not include either the subject or verb and are “non-essential” to sentence structure, students often start to dismiss them as not being all that important, but once they see a few examples of writing where it is used effectively, they start to realize how important they are to making their ideas and explanations more precise. Descartes had three dalmatians which he named Cogito, Ergo and Sum. He allowed them to run outside. Descartes taught them a few tricks, but they mostly liked to be left alone to think. The writing here is clear enough and grammatically correct, but most students recognize it as sounding a good deal like Dr. Seusss’ or even their own writing. It is comprised of a series of declarations composed with independent clauses and not much else. This style is quite common among students who have been criticized a good deal for their grammar since it passes under the the red-pen radar and does not include a great number of errors, especially such bug-a-boos as comma-splices or fragments. In his younger days, Descartes had three of the cutest dalmatians which he named Cogito, Ergo and Sum. On most days, he allowed them to run outside in the open fields with the butterflies and daffodils. Descartes taught them a few tricks with sticks and balls, but they mostly liked to be left alone to think about the ineluctible modality of the visible. The second paragraph is nothing impressive by most standards, but it reads far, far better than the first one, and the only difference is the addition of prepositional phrases at certain locations. This one grammatical structure ends up making a significant difference in moving the writing towards sounding more intelligent, which is one of the primary goals the students want to achieve with their writing. Getting students to use dependent clauses and relative clauses would move them further along, but one of the early stages of grammar instruction should be getting students comfortable with and capable of using prepositional phrases. Learning how to use clauses can be quite a challenge, especially when students have so many difficulties with finding subjects and verbs in the first place, but learning prepositional phrases is a good deal easier and makes an immediate and tangible difference in writing style. I have been thinking a little too much about the differences between the students who get it and those who do not. I was reminded of this basic distinction when I was reading through another one of Jonah Lehrer’s posts on the nature of expertise and the research he cited by a few folks at various universities. One of the behaviors that research pointed to as essential to learning well was the ability to tolerate boring and repetitive practice without distractions. Lehrer cited to work of K. Anders Ericsson at the University of Florida and Angela Duckworth at the University of Pennsylvania who have both done a great deal of research on memory development. Ericsson has worked with music performers to find out why some excel while others languish in mediocrity, and Duckworth led research that focused on students in the National Spelling Bee to find out how some students nailed those impossible words while others made it there but received nothing more than a congratulation and a pat on the back. Ericsson found that the best musicians tended not to be those born to perform but those who spent hours and hours in their rooms practicing by themselves. This reminded me of a story told by Paco de Lucia’s father about how the young Paco was not able to go to school, so he ended up staying in his room hour after hour practicing his guitar and listening to records of flamenco guitarists. For musicians, this ability to practice scales to the point of being able to go through them without thinking is part of internalizing complicated movements into something the brains considers to be a single motion. Duckworth found essentially the same discipline in the top spellers at the National Spelling Bee. They were were not the ones who asked other people to quiz them, and, contrary to what many English teachers would like to believe, they were not the ones who read a great deal. They were the ones who were willing to put up with the drudgery of repetitive practice. They tended to practice even after they had already spelled the word correctly once or twice, and made sure they had, essentially, nailed it. For anyone who has been following memory research, these findings are nothing new. They are quite consistent with what has been showing up in studies for decades. Research on chess players showed that the ones who were willing to practice hour after hour developed better memories for various strategies and the conditions under which they can be used. The research on chess players showed that practice and not intelligence was the key to being able to learn and employ the various strategies during matches. In spite of all the mounting research on the utility of repetitive practice, I have not found many books or teachers who put this approach into practice. It seems grammar is already such a boring topic that making parts of it repetitive would push it over the edge and make teaching it a violation of the Geneva Convention. The issue is determining which parts of grammar instruction should be drilled. According to Ericsson’s and Duckworth’s studies, only those materials that can be reduced to small segments of randomly accessed memory should be learned through repetitive drill. Doing this would allow students to focus on the structural elements without sweating over whether a certain word were a preposition or an article. I struggled a great deal with writing in my early college years and for some time even into graduate school. I would never have written a blog, for example, as a freshman in college because I simply could not write well. I would have loved the idea of having my writing be public, but I know I would have sat and stared at the screen. I can vividly recall sitting in the office of New University at UCI trying to write up a quick story on some event that happened the day before, but I struggled for an hour to put together about a dozen sentences on a demonstration I had been a part of. It was not a matter of not knowing what had transpired but of not having the phrases and clauses to put the piece together. Writing well was not so much a matter of having the words well thought out and sounding somewhat intelligent, but was more a matter of just feeling comfortable with the words, phrases and clauses that I needed to compose. The use of grammatical structures was simply something I was not able to undertake with any confidence. Watching someone write fluently was much like watching someone speak Finnish or Chinese. It just did not make sense to me and seemed so foreign at so many levels. Now I find it relatively easy to write. I cannot say I write well since I have reread enough of my work to know it is far too often filled with non-sensical phrases and clauses, but writing today is nothing like writing at UCI so many years ago. So what happened over the course of a few years? I do not know for certain, but I know it was not a matter of learning some concept or following someone else’s directions. I did undertake a good deal of writing while in graduate school in the 1990’s, but I also started writing at message boards a good deal during the 2000s. My penchant for combativeness and argumentation had me posting frequently and at length. My sense is that I became familiar with using not just certain words but with using certain phrase and clause structures in my writing. Fluency in speech seems to be some thing that is easy enough to recognize, but fluency is writing seems to be something few people discuss. My sense is that it is developed in much the same way that verbal fluency is developed in second language students. Basically, practice breeds internalization of certain grammatical structures. Teaching grammar cannot help a student develop a written fluency all that much since fluency comes from extensive practice and not a few exercises. In fact, instruction might even increase levels of anxiety over writing since the student can become too aware of the potential for making what others might see as an error. One of the misconceptions I run into each semester deals with the idea that verbs are actions. The idea that verbs are actions is, of course, partially true, but it is commonly thought of as being entirely true. The lowly linking verb gets short coverage or is left out of the discussion of verbs when textbooks or teachers are covering them. Linking verbs are mentioned in most textbooks when verbs are covered, but they get substantially less attention than action verbs and next to no coverage in the exercises. The end result is that students develop no real concept of what linking verbs are and how they work. The sad, sad part of this situation is that linking verbs are probably used more often than action verbs even though there are only a handful of linking verbs compared to the legions of action verbs. There are some eight to 15 linking verbs depending upon whose count you are using, but this handful of verbs includes “to be,” “to feel,” “to get” and a few others that are so common that they would be difficult to avoid when writing a paragraph, let alone speaking with another person for more than a minute or three. Linking verbs do nothing but set up fairly simple relationships between a subject and its complement. My Latin professor, a woman who had also earned a degree in mathematics, taught us that the logic behind most usages of linking verbs was A = B, which is undeniably some of the simplest math around. This simplicity is, however, often used against linking verbs as a way of dismissing them for their actionable brethren who have this unearned reputation for being more specific and accurate. If students follow the common advice to use action verbs wherever possible, they do not necessarily improve their writing. Writing “I am late for the party” would be revised to read “I arrived late for the party.” Yes, the second sentence seems more specific, but it might or might not work better than the first sentence in any given context. What the linking verb does is to slow down the thinking and make the verb presence in the sentence less important. In the first sentence the fact that the speaker was “late” is the primary focus of the sentence, while in the second sentence the verb “arrived” takes center stage. That might or might not be an improvement in the writing. The issue is not a matter of whether one verb type is better than another. Most people know that they both work fine grammatically. What has happened, however, is that a stylistic preference for action verbs has developed into a pedagogical blind spot that is causing a good deal of confusion for our students. What success I have had with teaching verbs has only come by teaching that there are two types of verbs in this world, action and linking. This requires two distinct definitions of verbs and two distinct discussions of how each type works. Action verbs are, of course, what the subject does, but linking verbs are the connection between the subject and a complement. Those definitions are nothing new. The problem with teaching teaching linking verbs is that when you add this new type of verb, you also need to add a new definition of subject to your teaching. You cannot say that the subject of a linking verb performs the action of the verb since there is no action in the first place. 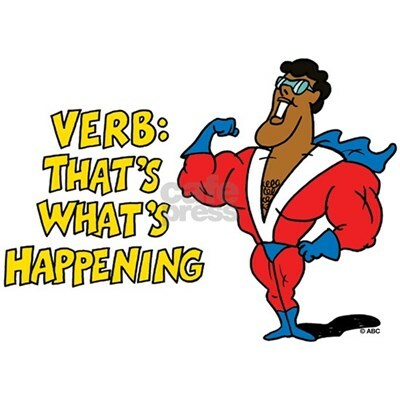 So teaching verbs as both linking verbs and action verbs means teaching subjects as who or what performs the action but also who or what is described through the verb. These definitions of subjects and verbs are built upon each other and require that we clarify how they work rather than focusing on the verb form we prefer while leaving the other verb to be misunderstood as often as it is used. I get the sense that many people who study language or work at universities have rarely worked with students who struggle with writing. I certainly would not side with anyone who thinks there is a single way to write correctly or with people who cling to grammatical “rules” at the expense of thoughtful writing, but I see enormous value in teaching students about the grammatical structures they produce and the stylistic effects they have, even if what I teach is often what some might call prescriptive. I do understand the core debate between what linguists might call descriptivism and prescriptivism. Really, there is no debate. In fact, it is much like the “debate” between creationism and evolution. If you do not understand how theology and science work, you are prone to “believe” there is actually a legitimate debate between the two fields and will pick a side. In this case, it is not a matter of agreeing with or believing with the basic descriptivist position, but of understanding it. And, even though I am no linguist, I do understand it and know it is scientifically sound. But I also walk into my classrooms every day and need to teach students how to write in a way that sounds professional and allows them to come across as educated. The vast majority of my students have elements of regionally or ethnically based dialects that simply do not match what is most commonly used in Standard Written English, and they have a hard time learning the grammatical structures they need to get by in an educated and professional environment. Some might think this is an unusually sloppy e-mail, but the student’s approach to spelling, punctuation and capitalization is common, especially among my younger students who have been text-messaging for many years, but have yet to read a complete book or write a single essay. Besides the obvious problems with punctuation, the message demonstrates that the student does not grasp independent and dependent clauses and has no concept of how to flesh out his ideas with prepositional phrases. Teaching him about grammar is not simply a matter of showing him where the commas go, but also of going through the nature of the English language in a way that allows him to see it as logical and predictable. When I go about teaching them grammar, I cannot provide students with an “accurate” picture of English. They do not want that. They want to understand how educated people write so clearly and fluidly. They do not want to know, for example, how different verb tenses in Black English can be created by dropping out helping verbs or how double negatives add emphasis. In short, they want to know many of the “rules” that prescriptivist folks up with which come. These “rules” are arbitrary and often just plain silly. There is no way around this. But they often have fairly good rationalizations, especially in the context of the other “rules” of Standard Written English. The problem is that many of these rationalizations often make sense only when they are not examined closely. And that is what the linguists do. As odd as it may sound, much of the egalitarianism I read in the writings of linguistics and composition professors often strikes me as a product of the privileged positions they hold within the middle-class, especially the white middle-class. Simply put–they never receive the e-mails I receive and they never speak with the students I teach every day. So I would caution against painting prescriptivism as inherently elitist and wrong. Those characteristics are undeniably part of it, but there is more to it than that. The personal and professional ambitions of people from different cultures and classes are often more complicated and ambiguous than research into their language patterns might reveal. There are may who use double-negatives in their speech but would like to leave that habit behind when they start writing. You cannot teach comma placement or many other topics in a way that students can actually learn to use them without relying heavily on those very pedants and their rationalizations in the textbooks. Some rationalizations are silly, such as the one that makes splitting infinitives wrong, but many are quite useful and make sense to students who are trying to make sense out of Standard Written English. Many of the grammar books I have seen over the years teach six distinct occasions for using commas, but anyone who has glanced at just about any professional writing knows these “rules” are far, far from being set in anything but sand. I teach these “rules” anyway to help students move away from the idea that commas go just about anywhere and base my teaching of the comma “rules” on the other principles of grammar that I have already covered concerning different phrase structures and independent and dependent clauses. Students learn to place commas in logical spots and provide some kind of rationalization based on the relations among the words, phrases and clauses. And I am well aware that these rationalizations would not hold up if they were investigated carefully. Most students I work with see sentences as collections of words and not as being made up of various types of phrases and clauses. Learning about dependent clauses, for example, is advanced stuff and quite exciting for them. It marks a point where they begin to construct complex sentences, and they can see and hear their own writing gain a level of sophistication. Learning that a comma comes after a dependent clause when it comes before an independent clause but not before a dependent clause when it comes after an independent clause is, for them, quite cool. When the game is over, we will go out for ice-cream. We will go out for ice-cream when the game is over. The only difference is the placement of the dependent clause. One requires a comma, but the other one does not. In this case, teaching this comma rule that is often not followed by many good writers is actually an excellent way to have students start writing complex sentences and see how many stylistic choices they have. These “rules” are arbitrary and cannot be traced back more than a few decades or so. In fact, most good writers do no follow the same conventions when using commas. But teaching these “rules” as they are set out in the textbooks reinforces the lessons on phrases and clauses that students are trying to learn. These prescriptivist rules act as something akin to training wheels while the students are getting the core structures of the English language down. Gabe could tear them apart and show how silly they are and I would agree with him, but I would still walk into class the next day and teach them with the idea of helping students write a little more like you or I do. Apparently yesterday was National Grammar Day, but nobody told me.